Now...before we even begin today's post, you need to understand that I am not a dog person. I'm not a cat person either. I'm a "I don't really want any pets in my home because I can't even keep a plant alive" person. 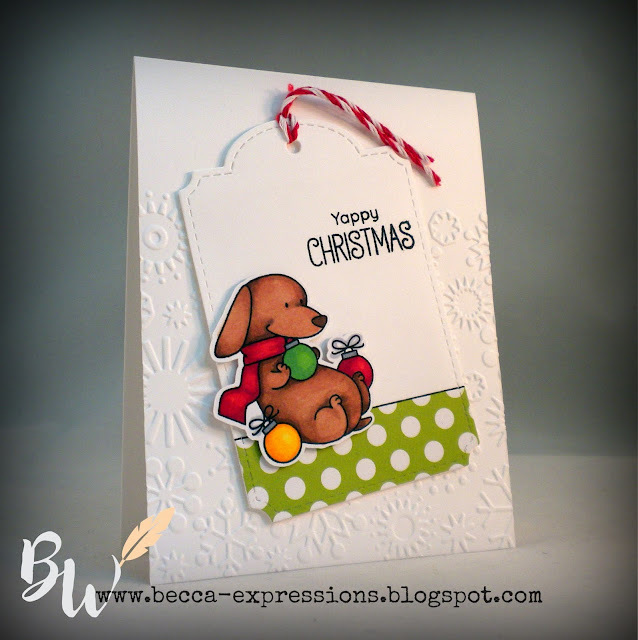 However, when I saw the adorable "Happy Pawlidays" stamp set from MFT, I couldn't resist. 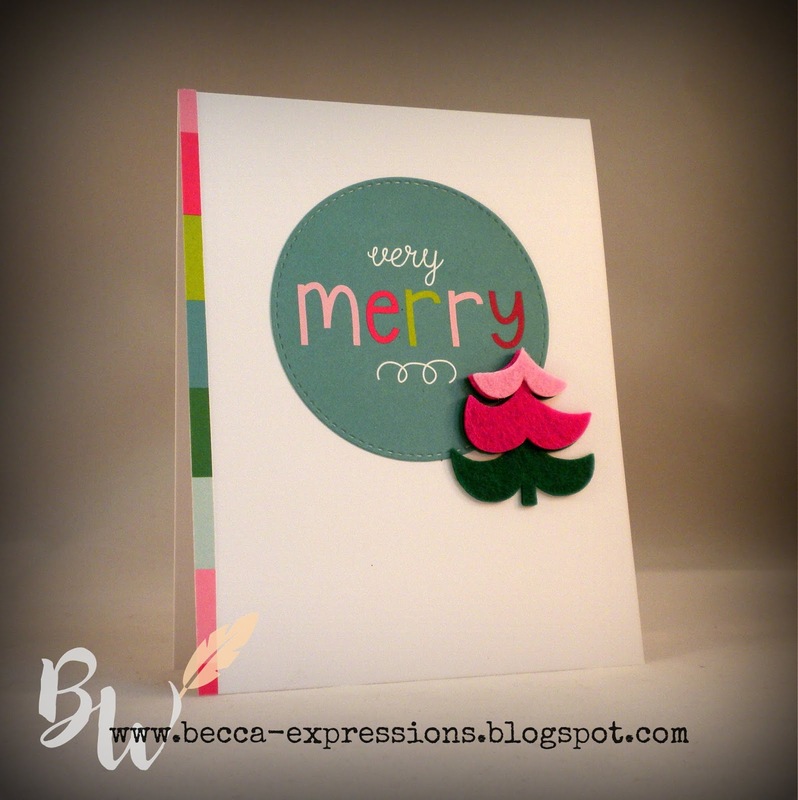 For this first card, I paired the stamp set with the CTMH Fancy Tags Thin Cuts and some Oh What Fun paper. 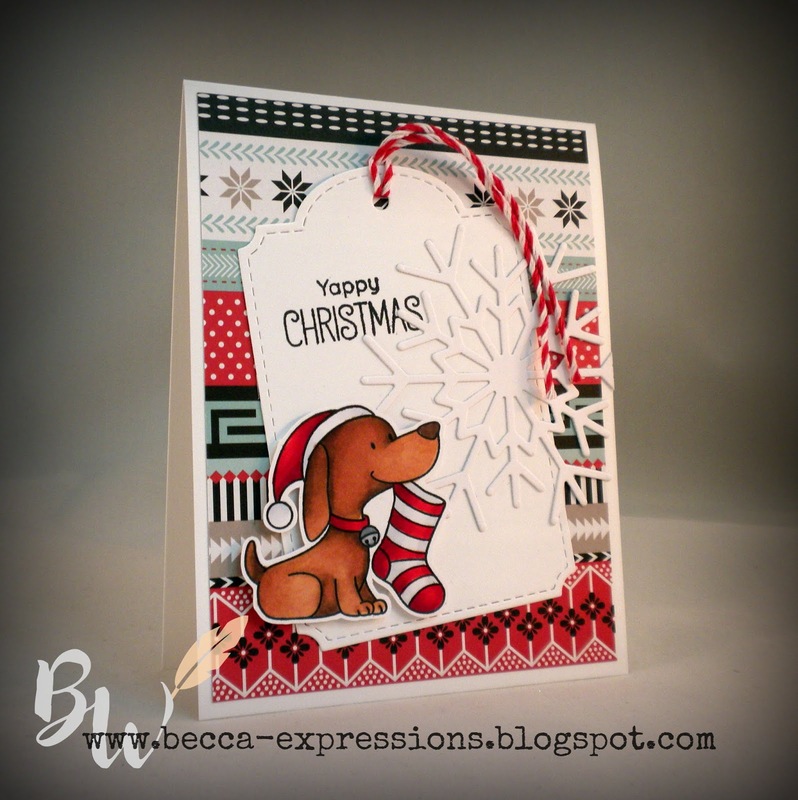 I also used a snowflake embossing folder. For this second card, I used retired paper and a retired snowflake thin cut from CTMH as well as the current Fancy Tag Thin Cuts. Both images were colored with Copic Markers. Soooo stinkin' CUTE!! 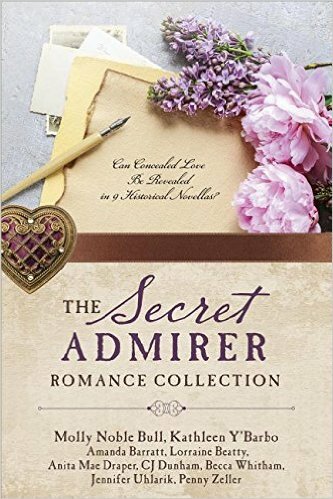 Before you go, please enter to with the $150 Amazon Gift Card by following me and five other Inspirational Historical Romance authors. This drawing ends soon! And be sure to link through to my CTMH website for Cyber Monday Deals!! As promised in yesterday's post, here are the other six cards I created using the Oh What Fun Paper Packet and Felt Compliments. I seriously had loads of fun using these compliments, particularly in conjunction with the Ugly Sweater stamp set. For the ribbing on the sweaters, I just used a white gel pen. The only retired product was used on the first card. I don't know about you, but I have a ton of Christmas stamp sets so I limited my purchases to just the Ugly Sweater set this year in favor of using the products I already have. Again, please be sure to enter the drawing for the $150 Amazon Gift Card by following me and five other authors on BookBub. The contest closes in 2 days! Whew! Thanksgiving company has left, the house is clean, and I could get back into my office to photograph some of the cards I've been working on for the past two weeks. 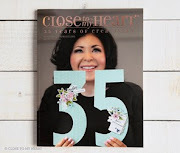 If you've visited my blog at any time since CTMH came out with their new Fancy Tag Thin Cuts, you know that I love tags on cards. LOVE them. 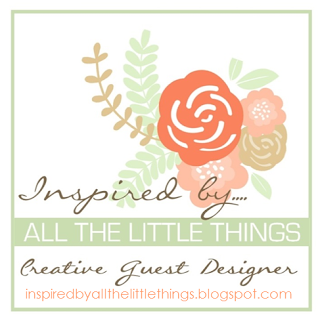 Today's post has two examples of double tag ideas. 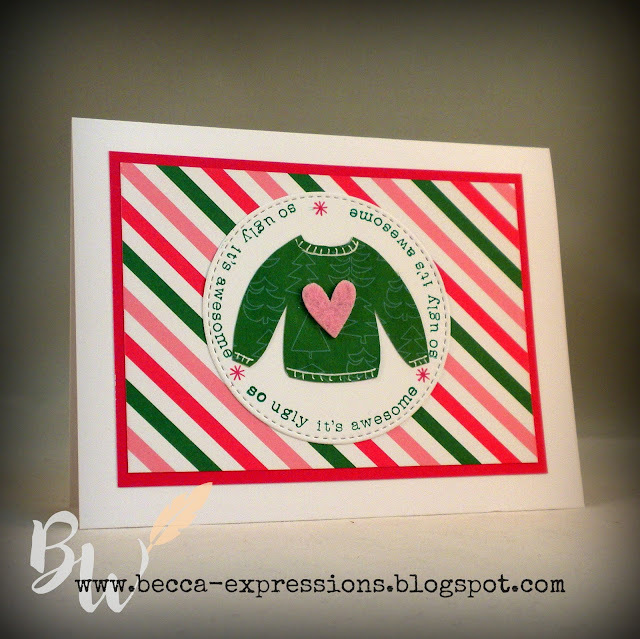 This first one uses colors from the current Color My Heart challenge: Kraft, New England Ivy, and Candy Apple. 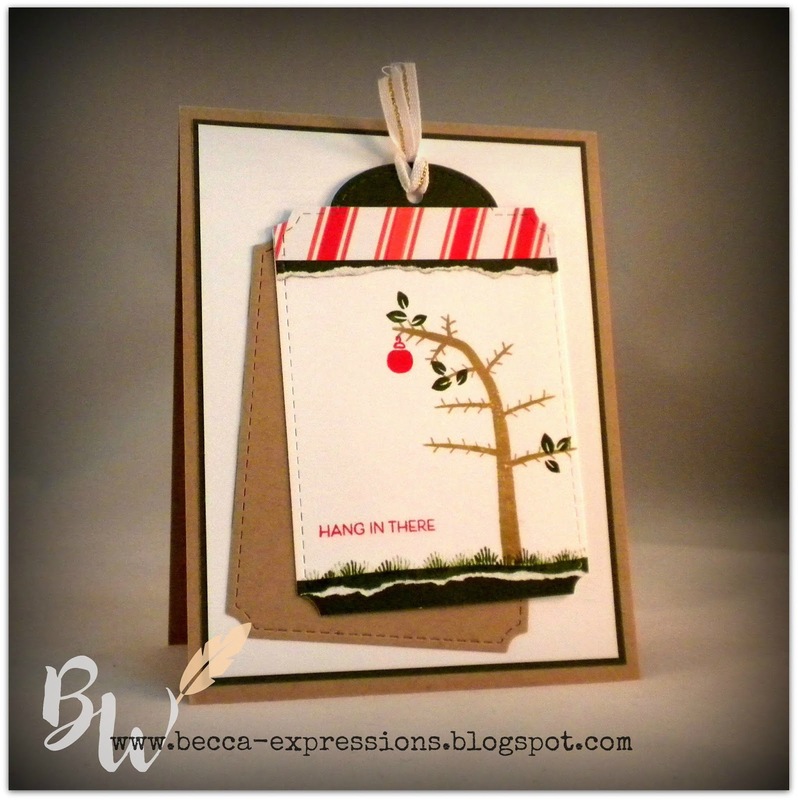 I saw this bent tree idea on a blog hop and neglected to copy down the information of who came up with it. Whoever it was...you're a genius! Except for the sentiment, everything on this card uses the current Stamp of the Month: Seasonal Trees (see sidebar for shopping link) which is only $5 with a $50 purchase. 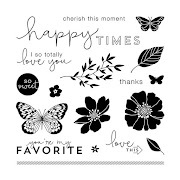 The sentiment comes from one of the Flower Market cartridge coordinating stamp sets. Isn't that perfect??? 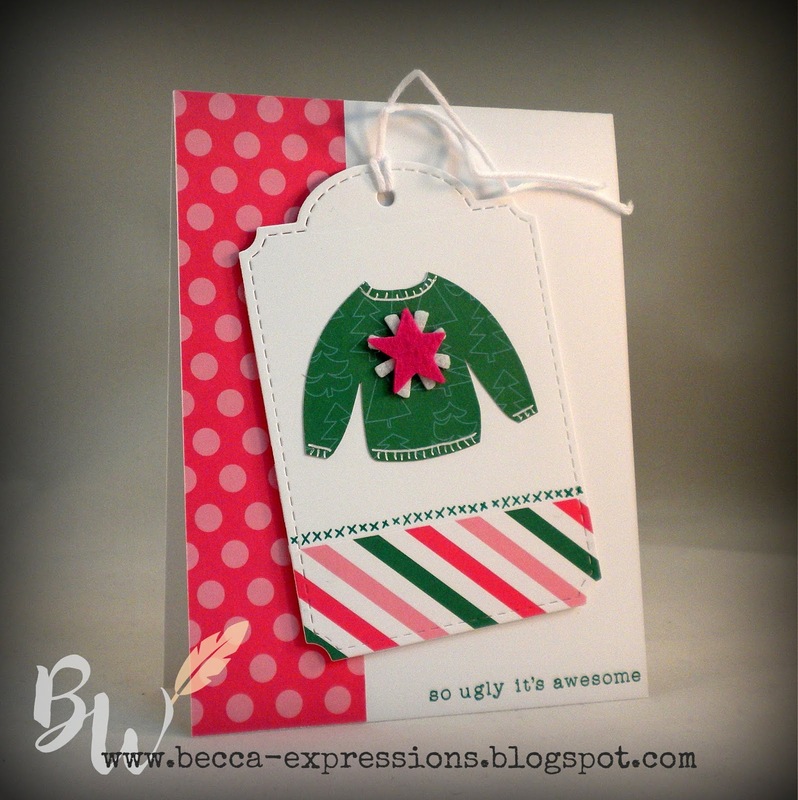 The stripe of red and white paper comes from the 'Tis the Season paper pack. I did a partial die cut with both it and the New England Ivy cardstock to create the tag top, layering them together afterwards. I cut a little too much of the New England Ivy so I just tore off the edge taking advantage of the white core of the cardstock. The piece I had leftover fit perfectly on the bottom, the white core adding another layer of interest. I trimmed the corners with Micro-tip Scissors. This second card uses the Oh What Fun paper and Felt Compliments. Soooo cute! The sentiment comes from a stamp set I purchased last year. I'll be featuring more cards using this paper and felt compliments in the next few days, so I hope you'll come back to see them. I made a total of seven cards and am seriously thinking about purchasing several more of the felt compliments because they are so stinkin' cute! 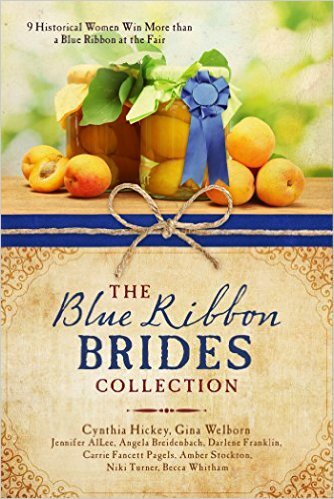 Before you go, please be sure to enter the Amazon Gift Card give away at the top of this blog post (through 11/27/18). I'm DONE!! 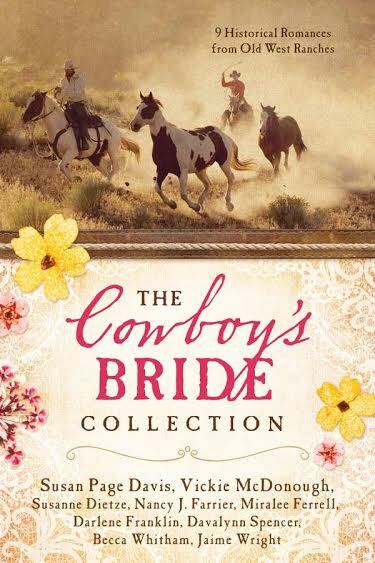 Book three of the Montana Brides series is in the hands of the publisher...and I already know one problem. Fortunately, this is the first round of the process so I'll have time to fix it before it arrives in stores next year. 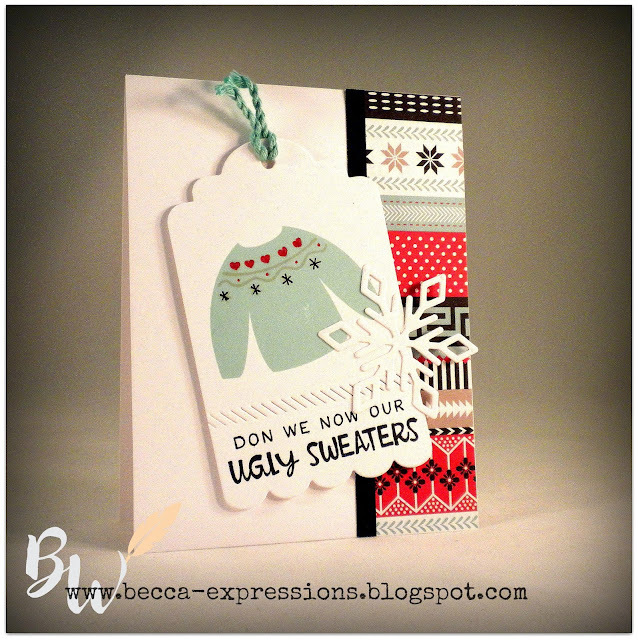 The even better news is that I had a bit of time to play in my craft room last night with my favorite Christmas stamp set of the CTMH catalog: Ugly Sweater. 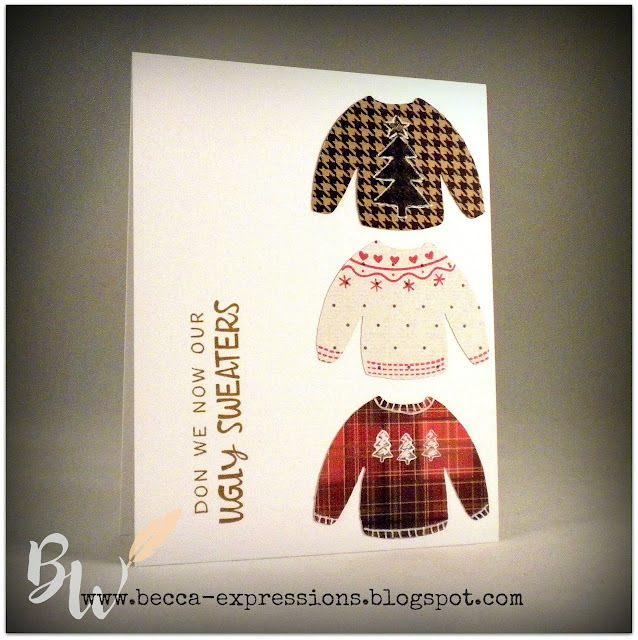 The top card shows you the stamped image of the sweater. The bottom one I stamped the image on the back side of the paper and cut it out. On the top one, I stamped the decorative part of the sweater in Whisper (retired but coordinates with the paper colors) then added color over the top with a red colored pencil and a black micron pen. On the bottom, I used gold a white gel pens to accent the decorative elements and to draw the bands on the cuffs, collar, and waist of the bottom sweater. Someone please tell me I'm not the only one who still has paper from six years ago. Please. The bottom card is for an exchange. I made twenty of these last night while watching mindless TV with my hubs. While I've been on deadline, he's been watching a show which holds no interest for me. However, when he's been an absolute prince to do grocery shopping, make dinner, wash dishes, and do laundry while I spent twelve hours a day in my office to get this story done, you watch what the man wants to watch. We're off to a marriage retreat this weekend. No rest for the weary. And then it's time to start preparations for Thanksgiving. How did that happen?? Oh...right...the world didn't stop while I was buried in my writing cave.